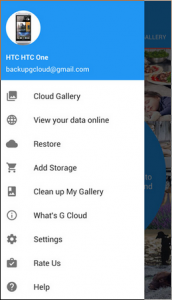 G Cloud Backup is a well-loved leading backup solution, but it isn’t perfect. First off, you should note that it is really only applicable for Android devices, since it doesn’t support Linux, OSX, or Windows. However, since Android is one of the most popular operating systems on the planet, it only makes sense that just about everyone has a need for it. As opposed to some of the less secure backup solutions, G Cloud Backup will encrypt data before forwarding it in the cloud for storage. It was created by Genie9, and the storage servers are on the same hardware and networks used for the Zoolz service for PC. It’s great for automatic backups, which removes the burden of manually duplicating data. But before we dig deeper into the features, let’s take a look at the price plans. 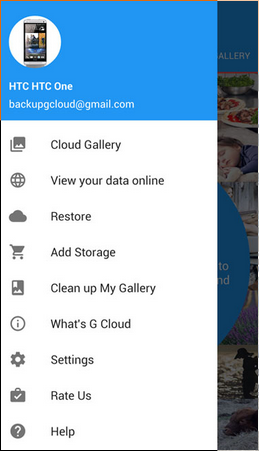 G Cloud Backup doesn’t make things complicated with their pricing. While some companies try to make 5 or 6 different packages with different features and levels of service, G Cloud Backup only has two options: the free plan or the unlimited plan. The free plan, as you’d expect, has some limitations, and it only allows a measly 1GB of storage space (that’s not much at all, considering DropBox allows 2GB for free and other providers offer 5GB for free). However, users can expand their free storage by as much as 10GB. Oh, and don’t forget, the free version is supported by ads (I can already hear you groaning). On the other hand, the unlimited plan only costs $23.88 a year, which is only $1.99 per month. That’s incredibly cheap, in my opinion. There are, of course, going to be more features with the unlimited plan. While the free version only allows 1GB (max of 11GB) of free storage, the unlimited plan offers limitless storage capacity. 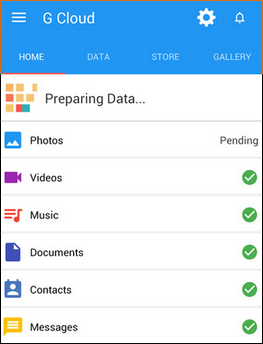 Users have the ability to backup an unlimited number of devices with a single account, even with the paid and free versions of the app. Within an account, each device backup is listed separately, which gives users a high degree of control over which files they want to backup on individual devices. In addition, there’s a handy feature called “find my android.” If you’ve ever lost your android device and nearly had a heart attack, you know firsthand how valuable this feature is. But it’s not just advantageous for people who may misplace their smartphone or tablet – it’s also useful for finding a device should it become stolen. There is a bit of a privacy tradeoff, though. While it doesn’t seem that the app tracks location data, I’m always skeptical about sending GPS coordinates to a third party. That said, G Cloud Backup hasn’t received any negative flack for mishandling customer data, and they do encrypt information with AES-256. Data is encrypted as it leaves your device, so it’s secure as it flows through the public Internet and remains in an encrypted format as it’s stored on their servers. It’s also worth mentioning how free users can expand the pitiful 1GB limit to 11GB. 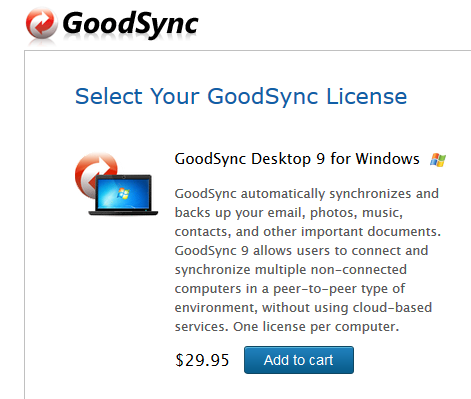 A few other services offer similar referral programs, but G Cloud Backup has some interesting offers. In addition to earning extra storage space by referring friends, you can also pay a one time flat fee. $0.99 cents will get you another 1GB of storage space, and you can get 4GB for a one time fee of $2.99. I think this is a wonderful solution for casual users who don’t have much data to backup, and don’t want to shell out money for the unlimited plan. But again, G Cloud Backup Unlimited has such favorable pricing that I think most users will see more value in it than the free plan. It’s quite rare to see a good backup and storage service for only $1.99 a month. 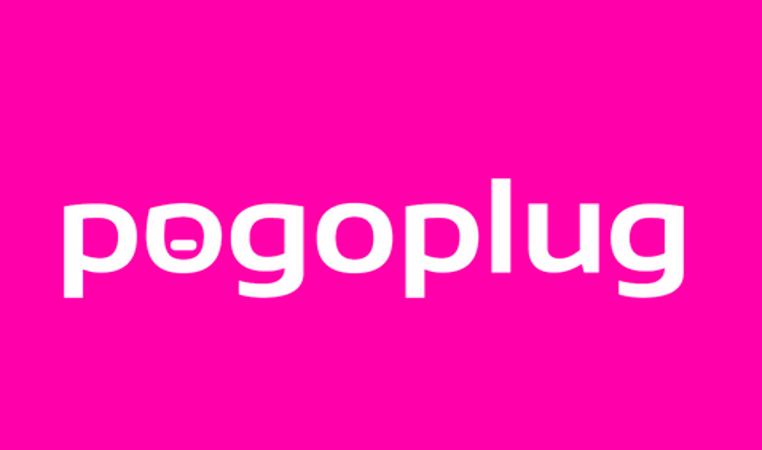 Unlimited users will also enjoy the perks of no advertising and premium support. Free users still have access to support, but it’s best effort in nature, and slower than premium support. This is fairly typical among cloud storage providers. In fact, there are many providers that won’t even offer support for free users. I’d also like to point out that they have a fairly in depth knowledgebase on their website. Not only will it help users navigate tough technical problems, but it also deals with FAQs and issues surrounding account details, payment methods, and so forth. Unfortunately, they don’t have a live chat feature, and I didn’t see a phone number to call. In this regard, their support is rather limited. After visiting the contact page, it seems the only real way to initiate a support request is to fill out a contact form. I feel that their support is a little weak for free users, but the knowledgebase should be able to point most people in the right direction. My biggest complaint with this service is the free account. I generally don’t like having to jump through hoops, like the referral system, before the free service is sustainable and viable for long term use. I seriously doubt most people could get by with only 1GB of storage data, thus incentivizing them to get their friends to join or to purchase the paid service. That said, I do have to say that the unlimited service offers a lot of value. They’re dirt cheap, plain and simple. Most other providers typically cost $4.99 to $9.99 a month (depending on the level of service you want), and these providers don’t always provide unlimited storage. $1.99 a month is hard to beat, and it’ll allow you to backup as much data and as many devices as you wish.